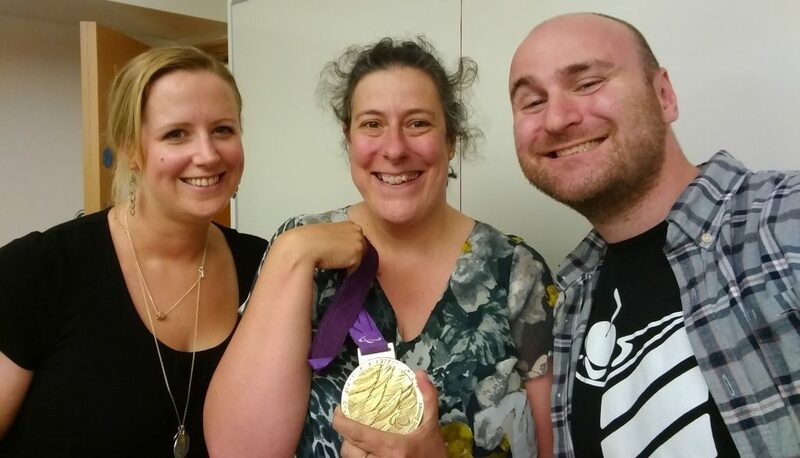 Naomi gave us an introduction to herself, her life history and she showed us the time that she won medals at the Paralympics. As amazing as this was, she revealed that she desired to achieve even more. Which is where the #165Challenge idea came from. 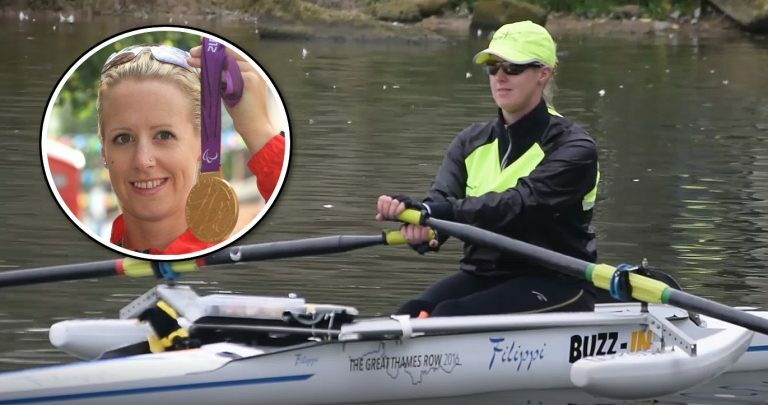 She was going to row all 165 miles of the River Thames all by herself, to become a Guinness World Record holder for the quickest time to row the length of the river. That time was 47hours, 59minutes and 54seconds. In front of the screen and with photos and videos to hand, Naomi showed everyone in the room every step of her journey. She went into every detail about how exhilarating it felt to be cheered on by all the spectators by the river. How bad the pain was as her body began to feel the pain of such a superhuman feat. How at the end of the river Naomi had to dig deeper than ever before to carry on because, in her own words, she could do it. She can do it! There was also a charity that benefits from Naomi’s efforts. 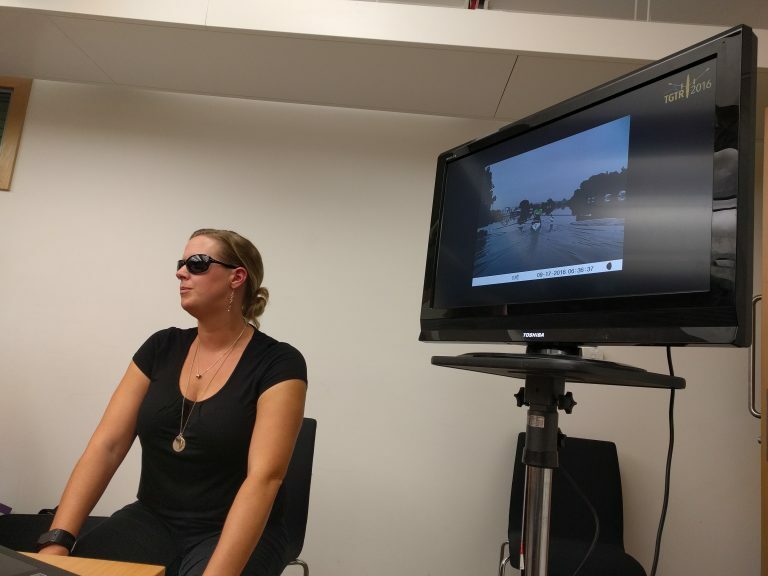 Every penny raised from Naomi’s #165Challenge goes to the charity IN-Vision, a charity that aims to further research into the eye condition called Infantile Nystagmus. This is a charity that Naomi hold near and dear to her heart. The atmosphere in the room was electrified and motivational. So much so that club memeber, Lesley, told people that she also took part in her own personal #165Challenge of Cross Training the total of 165 miles in a week. On top of that, Lesley announced that she would donate £165 of her own money to the IN-Vision charity. This is alongside the donation that the Rotary Club of Oxford Spires will make to Naomi’s rowing challenge. On 10 Sep 2017 Naomi finally received official confirmation from the Guinness World Record people that she is the the Fastest Time to Row The River Thames by Single Scull (female). This was after nearly a year, and being required to provide multiple forms of evidence including photographic evidence. You can also watch the video of Naomi Riches at the start of her #165Challenge journey.